The South African armed forces (SANDF) held the biennial Exercise Golden Eagle in the last week of September 2004. Like the one held in 2002, this time too there was significant international participation in the 'games'. Aircraft and aircrews from Germany and India took part in the exercise for the first time and the accompanying defence exhibition. Additional military observers were called in from Germany, Sweden and Zimbabwe to ensure fair and accurate ratings. Apart from the military exercise the visiting air forces also took part in the Africa Aerospace and Defence (AAD 2004) which was open to the public. For South Africa Ex Golden Eagle is an important platform for her armed forces to train in a joint environment. The exercise is an evaluation and enhancement of their operational capability in an international scenario. For the SANDF multinational missions are frequent due to their in peacekeeping commitments in the African continent. Further, all participants benefit from exposure to foreign tactics and co-operation gets a fillip. India was represented by a contingent of 10 military aircraft and 100 personnel. 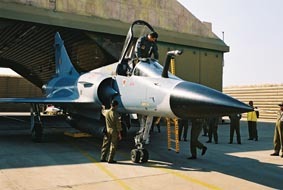 The entire deployment led to a number of unique achievements for the IAF. It was only the second time ever that IAF fighter aircraft had taken part in a multinational training exercise abroad; previously a group of Jaguars were hosted by the USAF in Alaska for Ex Cooperative Cope Thunder 2004. At 8,000 Km this was also the second farthest deployment next only to Alaska. 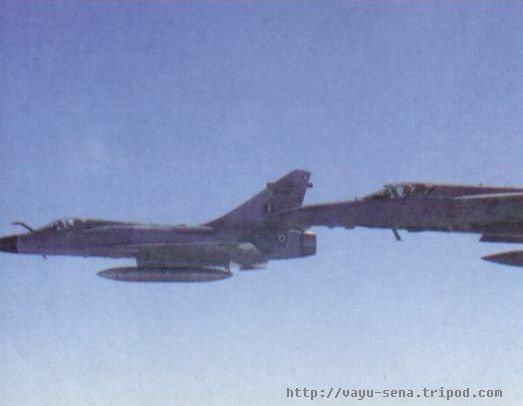 It was also the first time that IAF fighter aircraft took part in public display outside India, previously only the official aerobatic teams namely the Suryakirans (flying HJT-16 Kiran jet trainers) and Sarang (equipped with HAL's ALH Dhruv helicopters) had got a similar chance. The militaries of South Africa and India are no strangers to each other, having met each other in a number of engagements. Port calls, high level visits, courses at their academies have been part of the exchange process. India Army has also featured twice in the Special Forces competition Exercise Airborne Africa where they have excelled. However Golden Eagle remains by far the most complex and largest engagement till date. 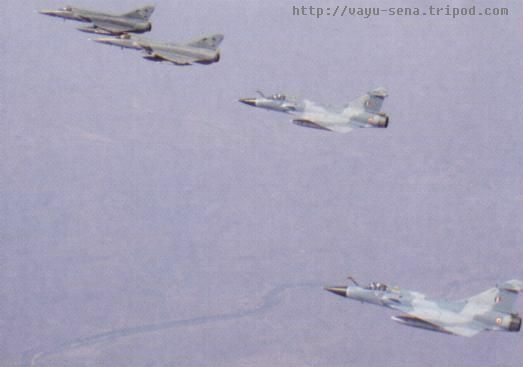 The IAF group comprised of ten aircraft, centered around a detachment of six Mirage-2000s from the No. 7 Battleaxes Squadron from Gwalior. As these aircraft do not have the range to fly the entire distance to South Africa, they were supported by two IL-78 Mid-Air Refuelers of the Agra based No. 78 Battle Cry Squadron. 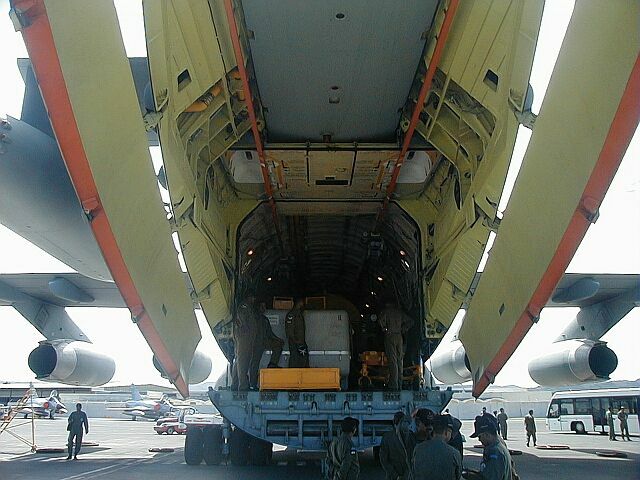 Two IL-76 Gajraj transporters hauled the supporting men and equipment. The entire contingent was commanded by Group Captain Rajan Bhasin. 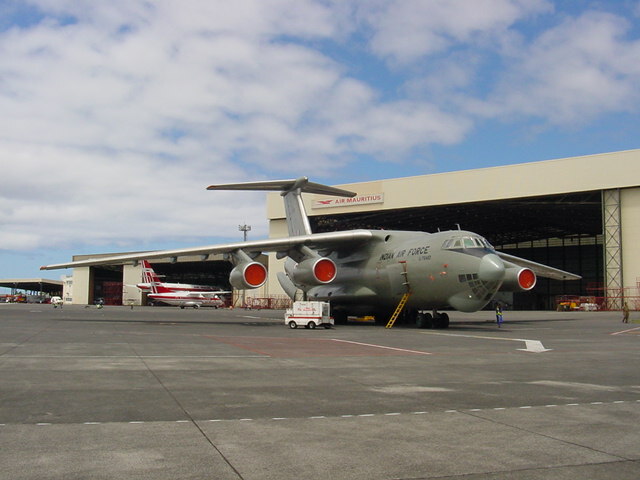 IL-76 pilot Wing Commander Viswa Mohan Unnithan, said that the Gajraj transporters would not stay in South Africa but would instead make another trip when the exercise was over. IAF Vice Chief of Staff (VCAS) Air Marshal Michael 'Mike' McMohan flagged off the contingent from Shanghumugham on 13 September. Accompanying him at the ceremony was Southern Air Command chief Air Marshal SK Malik . Return trip. Reported 4th October. 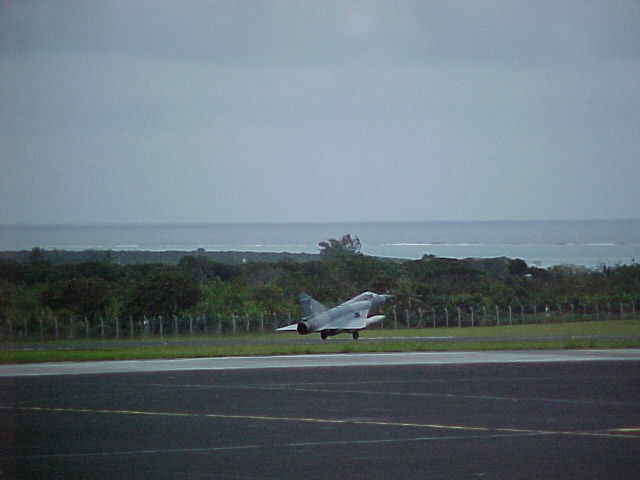 The detachment routed to AFB Hoedspruit, South Africa from Shanghumugham via Male (Maldives) and Mauritius in the Indian Ocean. Stay in Mauritius was on 14-16 September. A flying time of nine-and-half hours was clocked. Around a weeks time was spent by the visitors to get accustomed to the new environment and operating procedures of the SAAF. The five day exercise was based on a fictitious scenario of a "Blue Force" whose country was being destabilized by rebels trying to dislodge the democratically elected government. These rebels were receiving material and assistance from an external country - the "Red Force". In order to prevent further assistance to the rebels the Blue Force was tasked to conduct a special forces raid on the AFB Hoedspruit, where the Red Force was based. The Blues were centered around AFB Louis Trichardt. The IAF was part of the Red Forces located at Hoedspruit. The special forces would be dropped by a pair of Luftwaffe C-160s and would attempt to neutralize the base defences and assume control of the base. 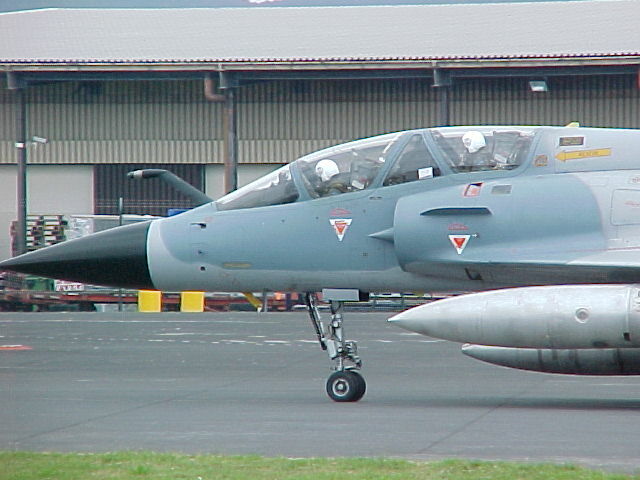 SAAF Cheetah C/Ds were also based at AFB Hoedspruit. Impala strike aircraft (Blue forces) and UAVs also took part in this exercise . Unlike the joint, missiles and guns, USAF exercises two years before, both the Indians and SAAF switched on their intercept radars rather than joining battle using only their practice missile seeker heads and gun simulator equipment. 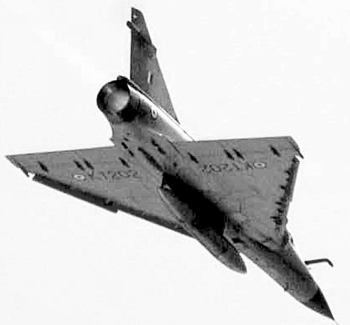 Consequently, the air defence battle, according to the Indians, turned heavily in favour of the Indian Air Force. The scope of the exercise also included other aircraft types, a naval component and a simulated Search and Rescue (SAR) exercise by a Oryx helicopter. Ultimately, the midnight para assault on the failed to capture the Hoedspruit from the Reds'. The exercise saw the IAF Mirages only in the air superiority role. 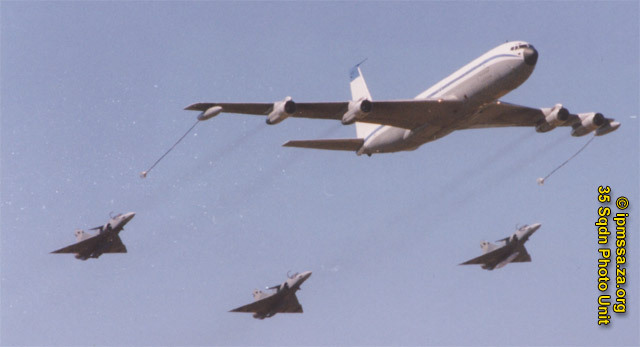 During their stay they got a chance to practice in flight refueling with SAAF 60 Squadron's Boeing 707s. The contingent left South Africa two days after conclusion of the exercise. Participants come together for a classic group shot. AFB Hoedspruit is South Africa's only airbase with 'hardened' hangars. IAF Mirage-2000s formate with SAAF Cheetah C fighters. Another formation shot. 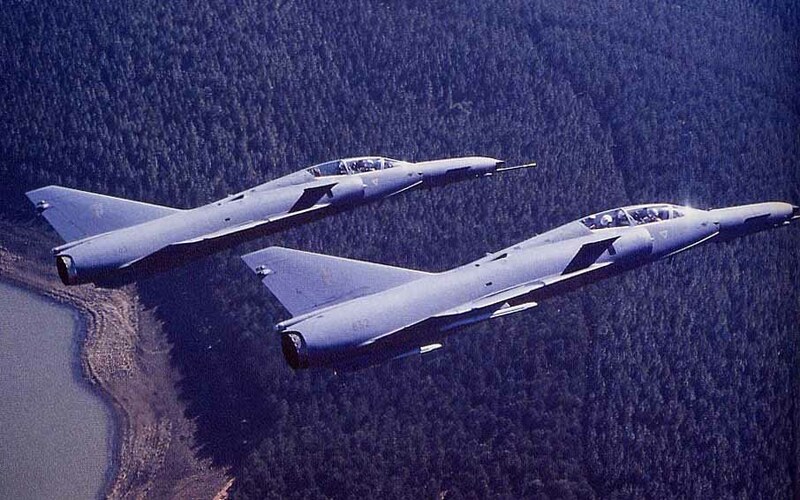 Cheetahs are amongst the most advanced Mirage-III derivatives in the world today. IAF Mirages were part of the air display at the Africa Aerospace and Defence 2004 exhibition held at AFB Waterkloof from 20-24 September. The 15 minute performance was scheduled for two days at 1500 Hrs. According to aviation magazine SA Flyer the show was disappointing because they were too far from the audience. Further, the IAF machines were not part of the static display; instead they used to fly daily from AFB Hoedspruit. Thus the locals were also denied an opportunity to check out the IL-78 refuelers as well. 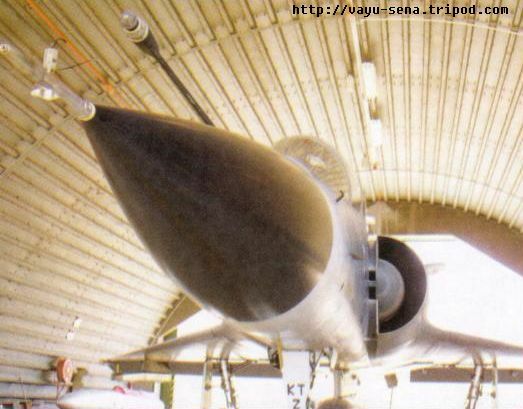 The Indian participation was not limited to the military but the industry was present as well. Minister of State for Defence BK Handique headed the Indian delegation. The star attraction of the stand was the Brahmos universal missile complex. 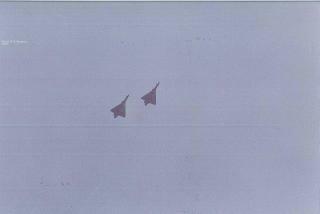 The display begun with the flight of a Chetak helicopter followed up a formation of Defender and Do-228 aircraft. Next up was a demonstration of Search And Rescue (SAR) by the Fennec helicopter. The much anticipated demonstration of the Mid Air Refueling was next. The grand finale of the event was the aerobatic display by the Mirage-2000s, thrilling the 25,000 spectators who had gathered for the show . Mirage-2000TH [KT202] during the display. 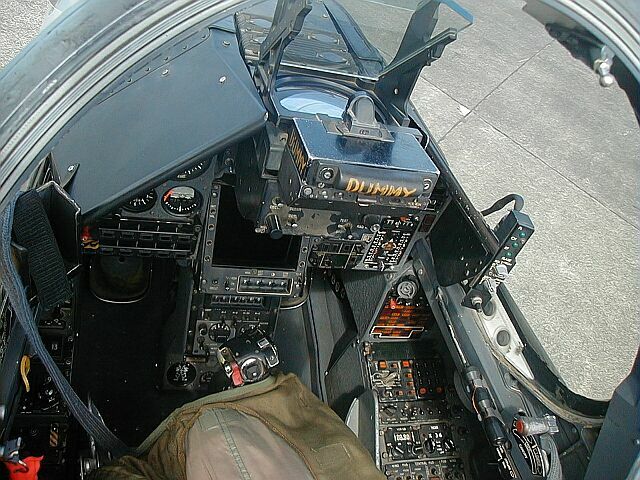 Photo of the cockpit. 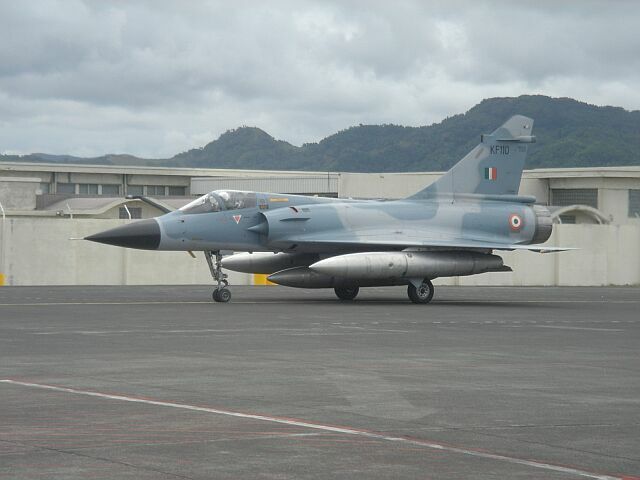 The only one of an IAF Mirage-2000H available on the Internet as of now. 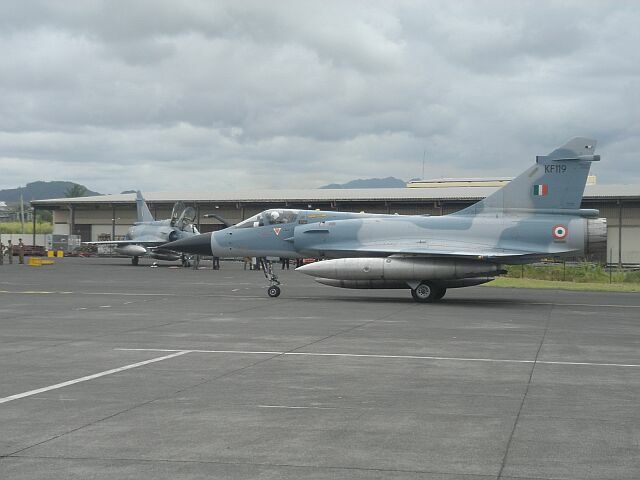 A bunch of IAF Mirage-2000s resting at the airport. Mirage-2000H [KF110]. Note the three drop tanks. Take-off in some really beautiful weather. Mirage-2000TH [KT202]. Double seater aircraft such as this one were employed for precision bombing in Op Safedsagar, as the two pilots can balance the workload. IL-78s can also carry cargo even with the fuel tanks onboard. Whats inside? Landing with Gears Up. 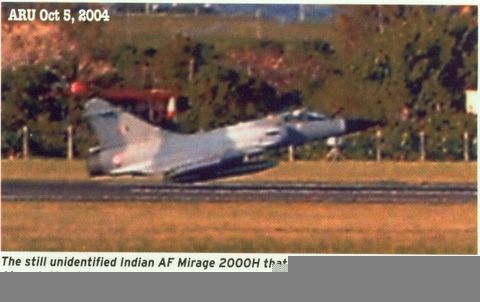 While landing at Plaisance airport after the display, Sql Ldr Ram Kumar crash landed his Mirage-2000H as he did not lower his undercarriage. Fortunately the aircraft suffered only minor damage due to the presence of the centerline fuel tank which absorbed most of the impact from the 500 m skid on the tarmac. The runway was blocked for a few hours for most air traffic, and only short take-off ATR-42s could land while the stricken aircraft was removed. 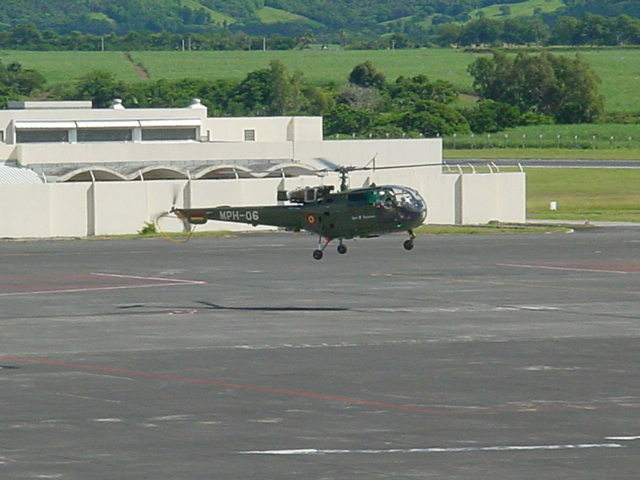 It took five hours and a hydraulic crane from a construction company before the aircraft could be rested in the hangar. Sqn Ldr Ram Kumar was rescued by the quick-to-act ground crew of the airport. The cause of the accident was ultimately attributed to pilot error. 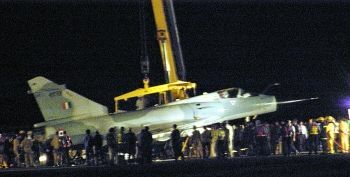 Sqn Ldr Kumar's striken aircraft being lifted by a crane. The entire recovery operation took around 5 hours. // Thanks to Dean Wingrin (saairforce.co.za) for the scans.  [v1.2] - [06.May.2006] - Added Ref , thanks to Jagan PVS for bringing to notice. 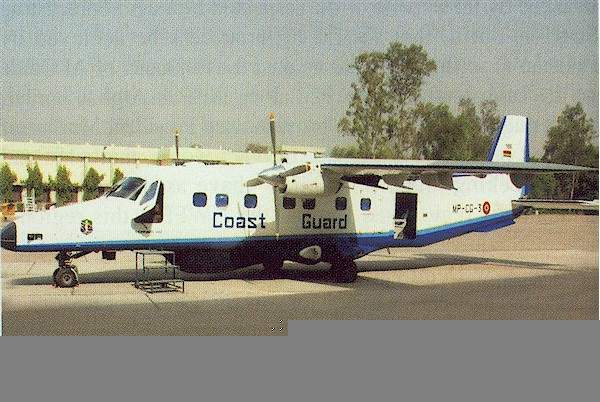 Mauritius National Coast Guard Do-228 [MP-CG-3]. This is the second piece delivered by HAL, commisioned in April 2004 (File).